The new broncolor Softboxes and Octaboxes are optimised light shapers for precise lighting design in nine different shapes and sizes. Square, rectangular, as a strip or octagonal. These quality, high-performance light shapers extend your flash system and offer countless additional lighting effects. Three different diffusers enable a soft light with slight central emphasis through to perfectly homogeneous distribution over the entire area. Two diffusers are already included in the delivery, a third diffuser is available as an option. With a light grid, light control can be even more precise. 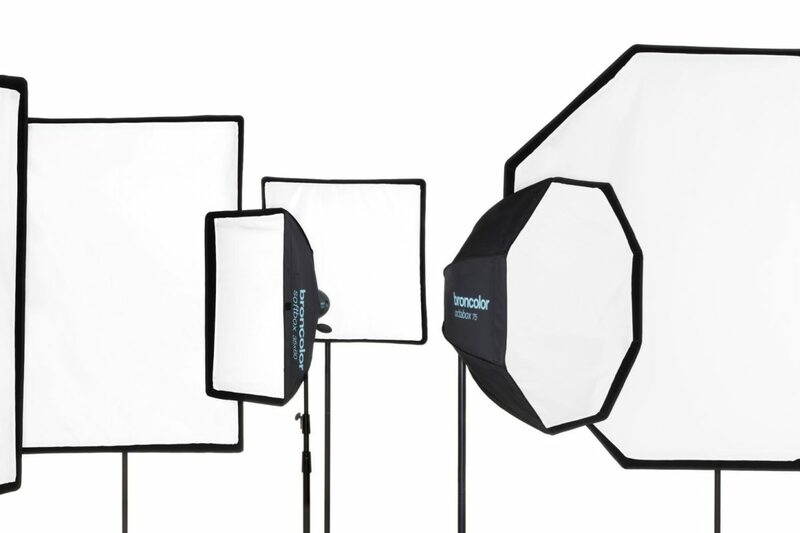 With appropriate adapters, broncolor Softboxes can also be used with flash units from other manufacturers.